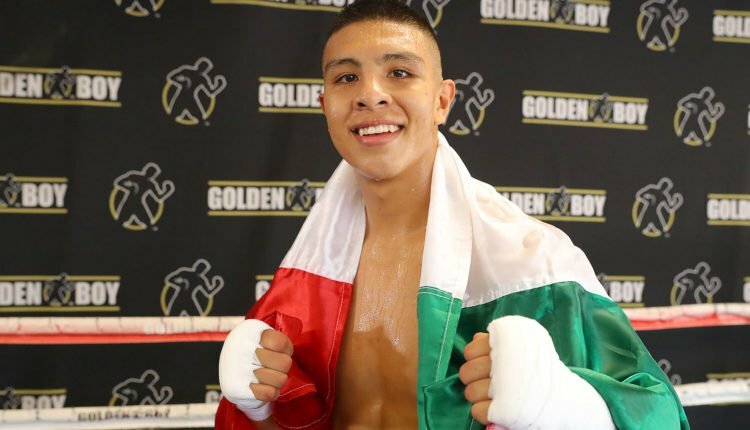 Jaime Munguia is not taking a lot of time away from the ring, as the WBO super welterweight champion will return to action on April 13th in Mexico. Per ESPN Deportes, Munguia will headline a card at the Arena Monterrey, which was announced while Munguia was being honored by the National Boxing Commission in his native Mexico. Munguia would walk out of Houston on Saturday night, when he defeated Japanese fighter Takeshi Inoue, and will look for an elective defense of his title before facing mandatory challenger Dennis Hogan later in the year. “I am happy to return as soon as possible. I already start training these days, I have no problem, I feel I have conditions to make that defense, “said Munguía. “I appreciate being recognized by the CoNaBox and the President. I hope to continue giving Mexico triumphs, because for them it is all this that I am doing “. “We are very proud of what Jaime has done so far. We are very happy for this surprise that our friend Miguel Torruco brought us and we are sure that Jaime is, and will be, a great ambassador for Mexico, “said the Munguia’s promoter Fernando Beltran. Beltrán said that if he wins on April 13, he would love for Munguía to fight in the support of Saúl “Canelo” Álvarez next September.